You say tomato – we say Pomodoro! Tomatoes are, without a doubt, one of the most iconic foods in Italian cuisine. From raw to roasted to sauced, tomatoes appear in nearly every course of the Italian meal and in overwhelming number of dishes, regardless of the region. What better time than summer time to slice into the origins of this fantastic fruit – or is it a vegetable? Tomatoes are a Fruit AND a Vegetable? 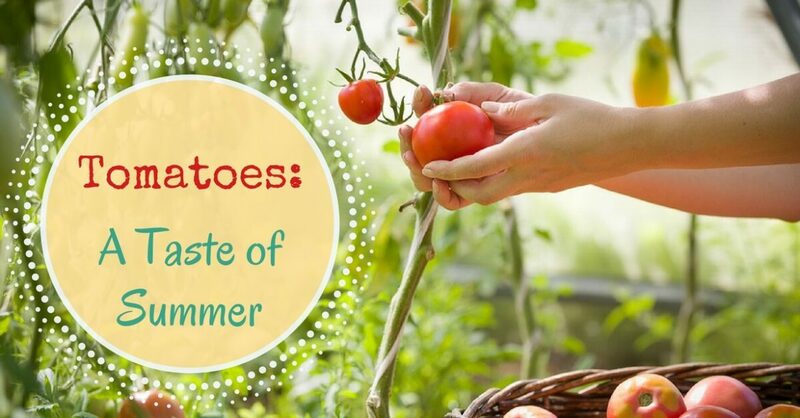 Yes, that’s right: tomatoes are a fruit… and a vegetable! When tomatoes first arrived in Italy, in the late 15th and 16th centuries, they were in fact met with suspicion – it was one of the first foods to come to Italy on the return journey of colonizers of the “New World.” Tomatoes began to thrive in the southern regions of Italy, with the Mediterranean climate. Over time, the popularity of the tomato spread throughout the country, even to the originally suspicious northern regions. The varieties of Italian tomatoes are dependent on the region in which they are found. In Naples and Campania, the best-known variety is the San Marzano, a plum tomato that is thin and pointed in shape. The San Marzano is one of the most popular tomatoes, thanks to its distinct, bittersweet flavor and versatility in different dishes. For example, a 28-ounce can of whole, peeled San Marzano tomatoes is one of the four ingredients in Marcella Hazan’s famous tomato sauce. Other notable tomatoes include Cuore di Bue (“heart of ox”), or “beefsteak” tomatoes, named for their heft and size. Cuore di Bue is found commonly in Liguria and Calabria, and is used in fresh sauces, jams, and salads. Roma tomatoes, of course, are from Rome, while Venice’s tomato is a curious color, a spectrum from green to red. These are known as Nasone del Cavallino. And, in our restaurant’s namesake Tuscany, the most-loved tomato is the Pisanello, named for the 15th century Renaissance painter. Noted for its flat, round shape, Pisanello tomatoes are found in the classic bruschetta with garlic and olive oil. Another Tuscan favorite is the wrinkled Grinzoso tomato, used commonly in salads. Craving a taste of summer? Visit us at Cucina Toscana for delectable dishes featuring summer’s freshest tomatoes.